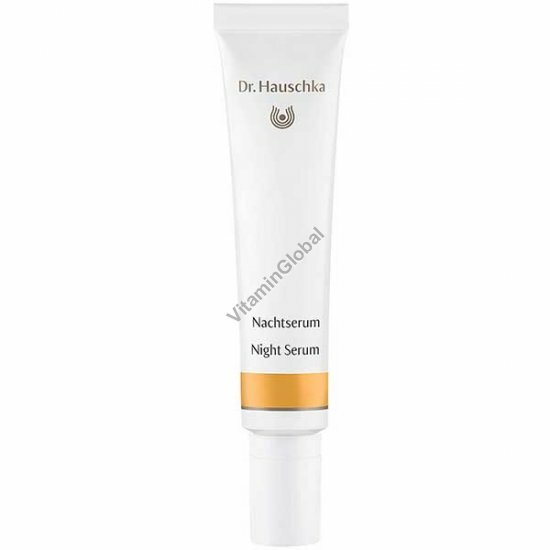 Dr. Hauschka oil-free night care allows your skin to breathe freely and stimulates its natural renewal processes. Night Serum is an essential night-time skin care product that revitalizes and helps the skin rediscover its natural balance. The wonderfully fragrant formulation with apple fruit hydrosol and apple blossom extract supports the skin’s natural rhythms while guiding it through its essential night-time work. Supported by witch hazel extracts, Night Serum tones all skin conditions for a fresh, radiant complexion come morning. Usage: After cleansing and toning in the evenings, apply a pea-sized drop of Night Serum in a thin layer to the face, neck and, if desired, décolleté.